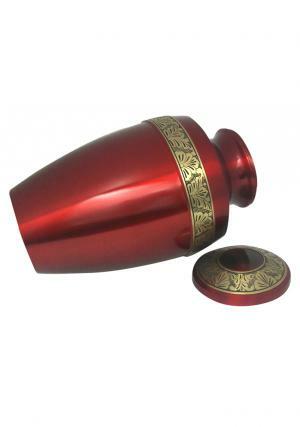 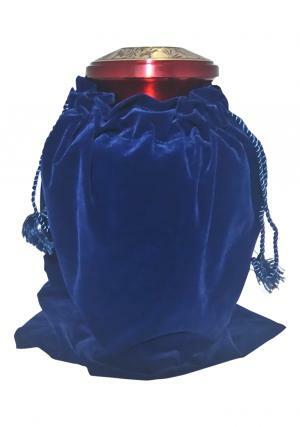 Rich Ruby Red Band Engraved Cremation Adult Memorial Urn is a solid pure quality of brass metal engraved in the form of urn. 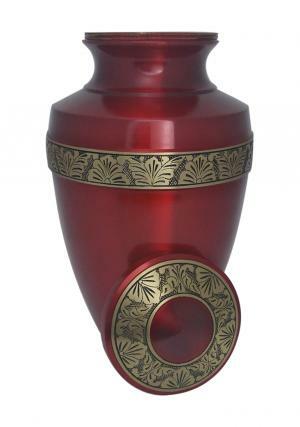 The Large Adult funeral urn is decorated in rich red enamel with skilled artisans work of banded brass floral design. 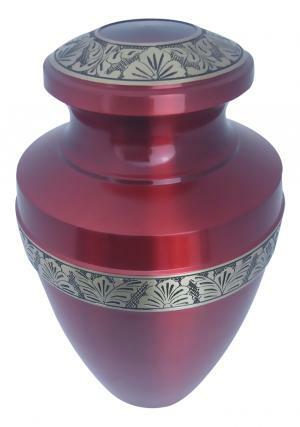 The hand printed flowers on the urn are decorated on the lid which has a secured screw threading used for an easy closure and open for insertion of cremated ashes of the loved one’s from top. 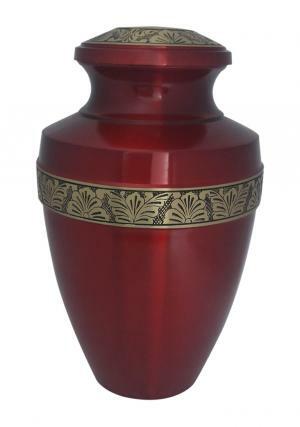 The rich ruby red flower engraved adult urn weighs 2.4 kg (empty) with 11.2 inch height, 6.7 inch width and measures to hold 200 cubic inch of adult human ashes in the large urn.